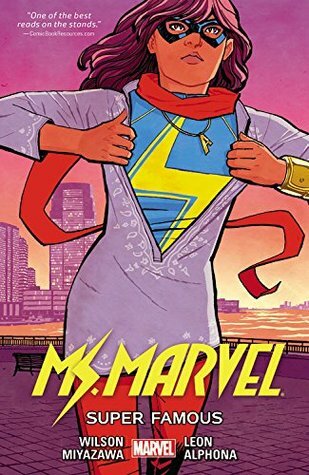 Took me a beat to realize that this is directly connected to Ms. Marvel. That's how observant I am. 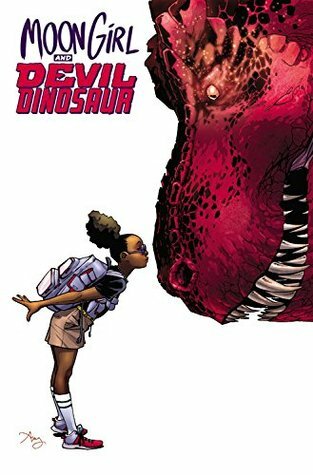 As "heroes" go, Lunella is adorable (with an adorable name) and worth rooting for - despite being just nine years old. She's a genius with a mission - find a way to save herself from succumbing to her Inhuman genes. And because of her genius, she now has a Red T-Rex as a pet. Not an extremely well-plotted series started, but I still loved it, and I can't wait to see what happens with Luella next. A boy who loves his father and has never lived up to his mother's expectations. A boy finding a destiny he never expected. An unlikely hero. 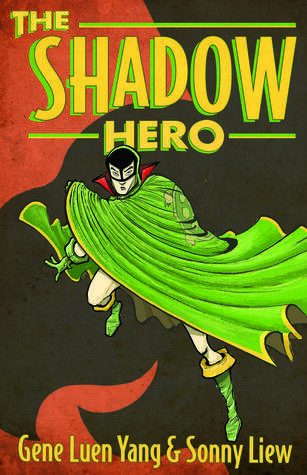 Gene Luen Yang at his best. Love this guy. Love the art. Love the ease of storytelling, the appreciation of culture and heritage, and the crazy mother. Just love. With all the hype, I felt like I should have enjoyed this one more than I did. 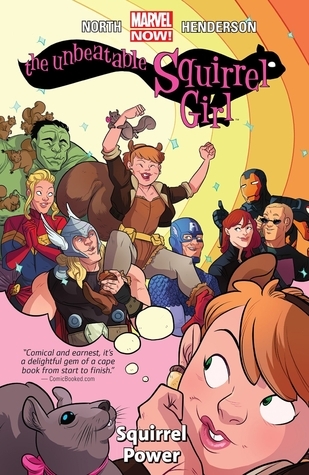 Squirrel Girl is fun, and funny, and brave...but she's no Ms. Marvel. I guess I'm just partial. Love the tie-ins with other Marvel stories (especially Deadpool) and the humor. But the whole concept of a girl with squirrel powers and squirrel friends felt a little crazy. How do you balance real life and the life of a superhero? How do you balance the emotions of teenager-dom with the responsibilities of an adult? Kamala Kahn is excited about her new role as an Avenger, but what price does she have to pay to be a superhero? Love the journey Kamala has traveled on the last couple of volumes. Definitely makes her feel more like a "real" character with "real" problems. One of my favs of the year. Catarina doesn't want to move. She doesn't want to leave her friends or her school. But she does want her sister Maya to be more comfortable, an environment where her she can breath without struggle. But the town of Bahia de la Luna isn't quite what she expected. The town seems to be a little preoccupied with ghosts. Cat is a bit of a scaredy cat, and Maya seems a little conscious of her own mortality, but the resolution is heartwarming and fun. 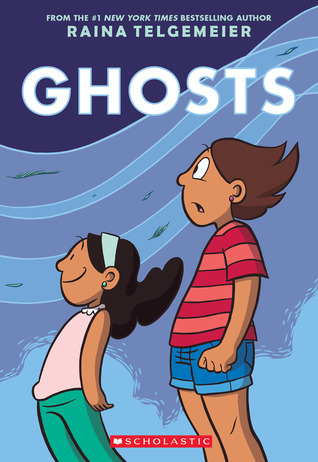 Plot is thin in places (or moves too quickly, missing some great opportunities), but the artwork is vibrant and fun and the characters likable. Another solid outing by Telgemeier.